Announcement Your order is shipped in 1-2 business days. Limited time free shipping promotion. We always offer combined shipping in our shop. If you order more than 1 item, all additional items ordered have free shipping. If you have a special custom request, please contact me to discuss your needs. Your order is shipped in 1-2 business days. Limited time free shipping promotion. We always offer combined shipping in our shop. If you order more than 1 item, all additional items ordered have free shipping. I hang these off my lamp switches and cupboard knobs. These are beautiful! fast service. Overlook of Longs Peak in Rocky Mountain National Park with camera in hand. Nothing is better early in the morning. Walking along the beach either early in the morning or later in the day has a totally different feeling and experience. Some of the greatest views and photography can be experienced up high in the mountains during the winter in RMNP. I am arriving at the beach just at the right time to capture a moment that will not be seen again exactly the same way. 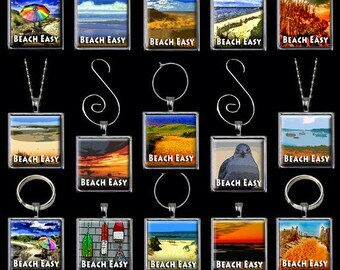 I have created a special note card set for businesses with matching key ring, wine charm, ornament or pendant necklace. I'm happiest when I'm hiking on a trail or a walking down a beach with camera in hand. I have always wanted to become a photojournalist. But, unfortunately, that endeavor never materialized during my working career. When I retired, I built my home right down the road from RMNP (Rocky Mountain National Park) and my love of being in the outdoors and my love of photography came together. Now I have built a home on Cape Cod as the beach also has my love of being in the outdoors, too. 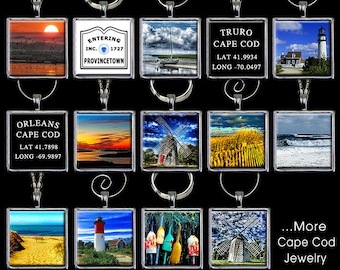 I started my blog a few years ago and have a wonderful readership and following (www.mycapecodblog.com). My blog readers have encouraged me to have my photographs available and that is the reason why I started my Etsy shop. I have seen and photographed so many spectacular scenes, wildflowers, wildlife, sunsets, sunrises, birds, etc. that I decided to share these wonderful moments on note cards, prints, jewelry and Note Card Signature Gift Sets (combination of note card and matching gift). So, my dream of being a photojournalist came alive in the outdoors. I hope you enjoy my photography and thanks for stopping by. I have always been an outdoor enthusiast. I love to hike, bike, ski, snowshoe, ocean kayak and photograph nature. There is always something to photograph: Wildlife, Flowers, Butterflies, Landscape, Sunrises, Sunsets, Beaches, Mountains and Birds. For purposes of EU data protection law, I, [Mel Tulin], am the data controller of your personal information. If you have any questions or concerns, you may contact me at my Etsy Shop. May I request a 3 or 6 pack that is not currently available? You may create any assortment of 3 or 6 cards that you would like to purchase. Please contact me directly regarding special packs. Thanks. All of my photographs are printed in a professional photo lab as I do not print any of my photographs. 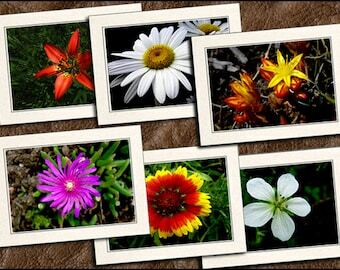 All of my photographs (4x6) used in my cards are "Suitable For Framing." Do you also have 8x10 or 11x14 prints of your cards? Many of my cards can also be purchased as an 8x10 or 11x14 print. Please contact me directly regarding special prints. I offer gift wrapping and a special small photo gift card with your message enclosed for your gift ($1.00). Place your cursor over the gift DETAILS text on any item page to view the gift page and special photo gift card. How are your cards made? The photograph is inserted in a proprietary card holder (not glued on top of the card) and a raised bolder in the frame covers the 4 sides of the photograph. A matching envelope is inserted inside of the folded card and each card with matching envelope is enclosed in a crystal, clear bag.